I turned 18 last month and I am not even lying when I tell you that getting emails around/on my birthday offering me a special birthday treat gets me excited. This year one from Sephora got me really giddy, and I wasn't even expecting it! Sephora now ships to the UK and since the news broke out a while back I signed up to their mailer but had no idea what I was letting myself in for apart from the odd email about their latest products. 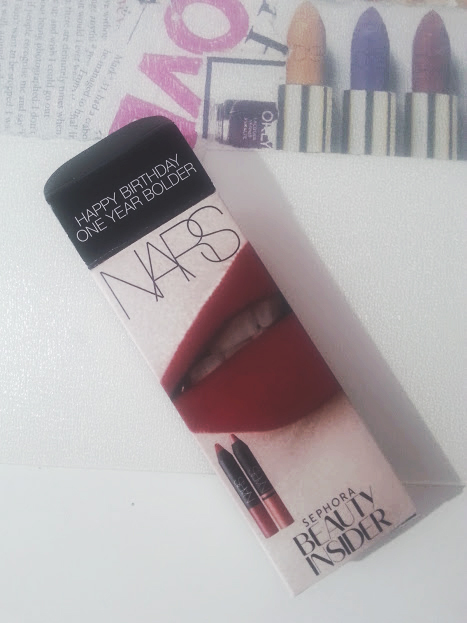 Then on the morning of the big day I got an email saying that my NARS birthday gift was waiting for me! 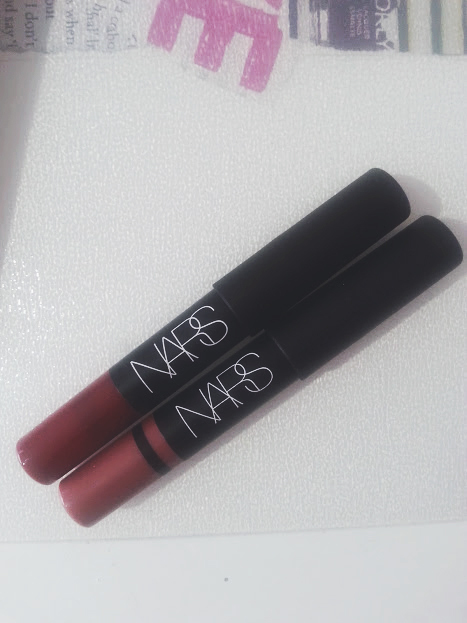 How could I resist a birthday gift from NARS? Be warned you can't just claim the gift you have to put actually buy something and I wanted to get the 'cheapest' yet nicest item possible so that the cost of shipping didn't scare me as much. 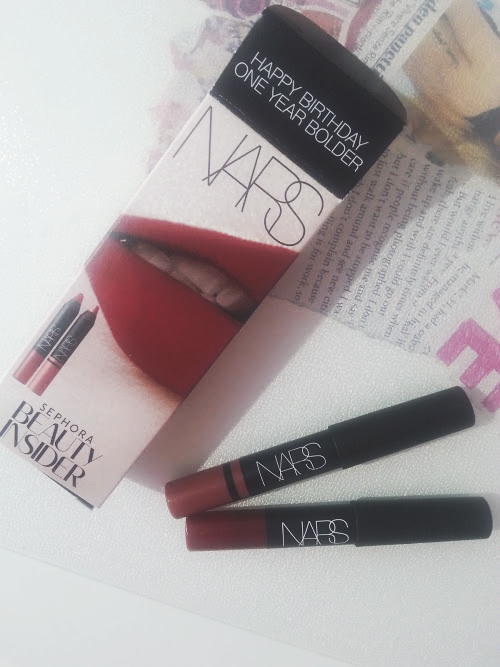 I opted for a matte lip cream which is yet to be used, so have a look out for that very soon. I didn't pay for express delivery just the normal one and it cost me £10 on top of the lip creme that I had to buy in order to get the birthday gift, all I kept thinking was 'do it for the NARS Parie'. About a week later it turned up and I have fallen in love with both pencils ever since! When you hear people rave about the lip pencils from NARS they are not lying about how amazing they are, the formula, the colour pay off and the look of them is just luxurious. 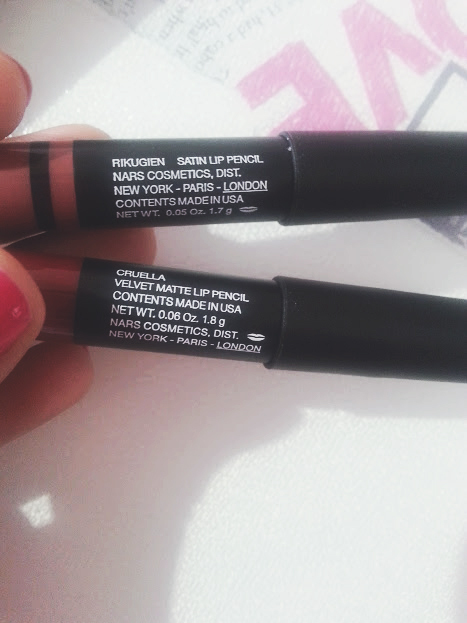 The lip pencils are only mini, but considering that it is a free gift I am not complaining in the slightest. I believe that they change the gift every year, so if you have a birthday in the next 5 months then you are in luck and can sign up to receive this gift, if your birthday has passed let's hope for an amazing gift next year as well! Are there any birthday mailers that I need to sign up to for next year?